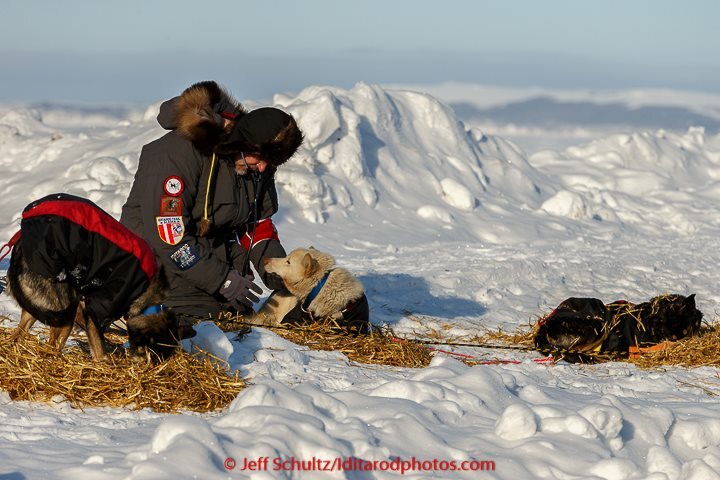 Volunteer vet Lee Morgan checks a Kristy Berington dog at Shaktoolik on Tuesday March 16, 2015 during Iditarod 2015. Dr. Morgan is currently in Alaska volunteering as a Veterinarian for the sled dogs. Stay tuned for more pictures and updates of 2015 Iditarod with Dr. Morgan! !